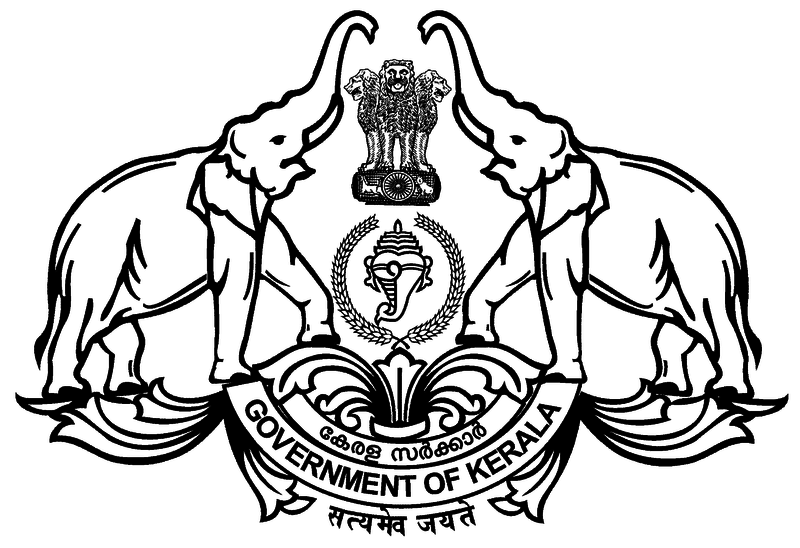 Kerala Piravi (Kerala Day) is the birthday of the state of Kerala is Southwestern India. See the map to the right. The red highlighted section is Kerala State. When was the birthdate of Kerala? How do we wish someone on this day? In Malayalam: Ellarkum ende sneham nirannya Kerala Peeravi ashamsakal. This translates into English as: Heartfelt Kelara Piravi wishes to everyone. 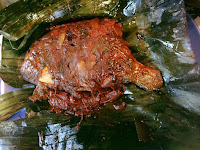 An abbreviated wish: Kerala Piravi ashamsakal. Or, Happy Kerala Piravi. 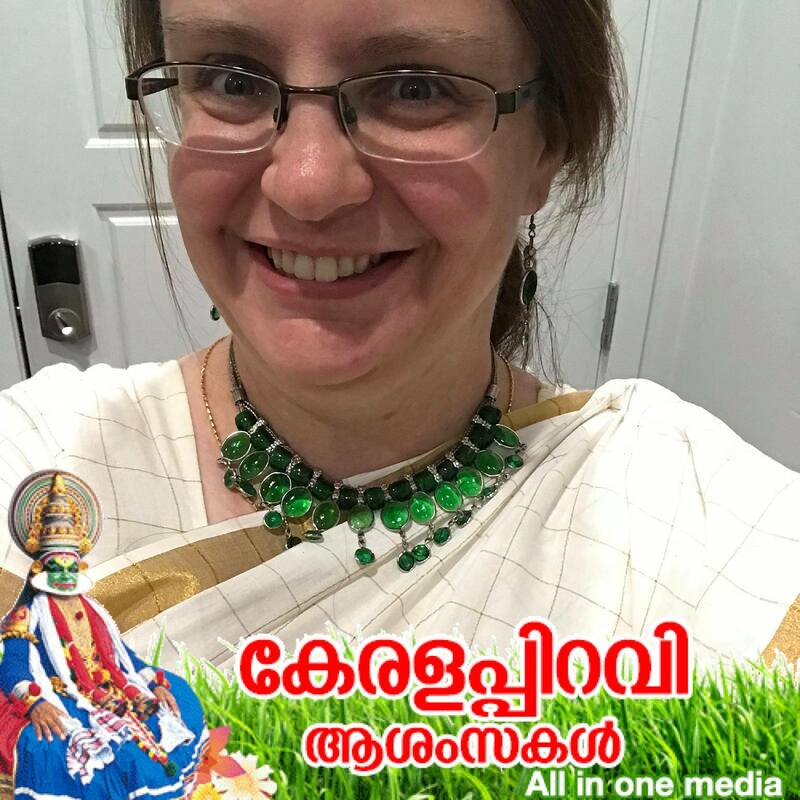 The photo to the right is of the author with a Facebook photo frame that reads Keralappiravi Ashamsakal in Malayalam. See the end of the post for the Malayalam and English translations. How do people celebrate Kerala’s birthday? It is a working day. 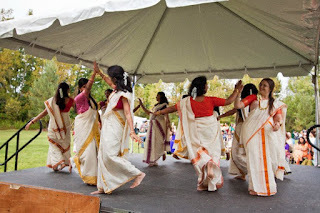 People may dress up in traditional Kerala dress, like the Kerala sari or settu mundu for women, and dhoti and shirt for men. See pictures of Kerala outfits and other Kerala national symbols below. Jennifer (far right) dressed in settu mundu to dance the Onam folk dance of Kerala, thiruvathira. See video here. 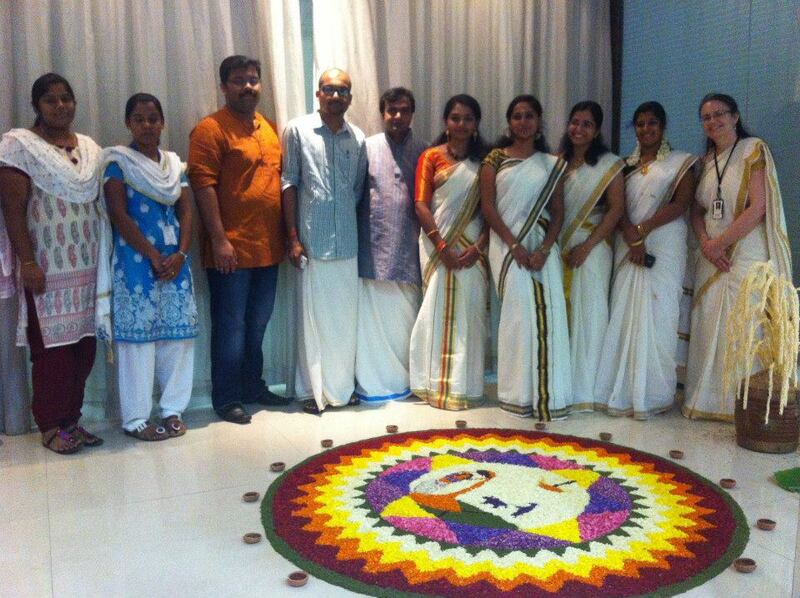 Jennifer wearing the one piece, Kerala sari, far right for Onam celebrations at work. 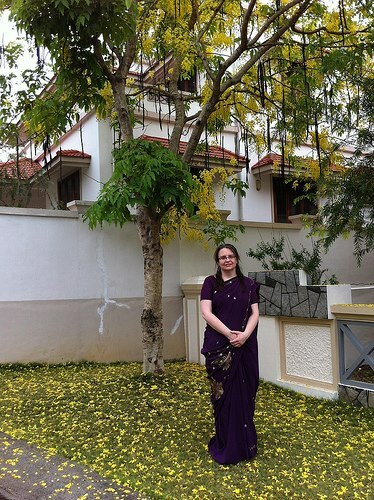 What is the difference between the settu mundu, sari, and dhoti? The Kerala sari is a one piece, six yard white fabric with gold borders. A settu mundu is a two piece white sari with gold or colored, one piece is wrapped around the waist, while the other is wrapped over the shoulder and around the waist. If you see a woman wearing a sari with a gold or colored stripe in the front, it’s probably a settu mundu and not a sari (as in the pic to the right). A dhoti is a white piece a fabric with a thin colored or gold border men wear around the waist. 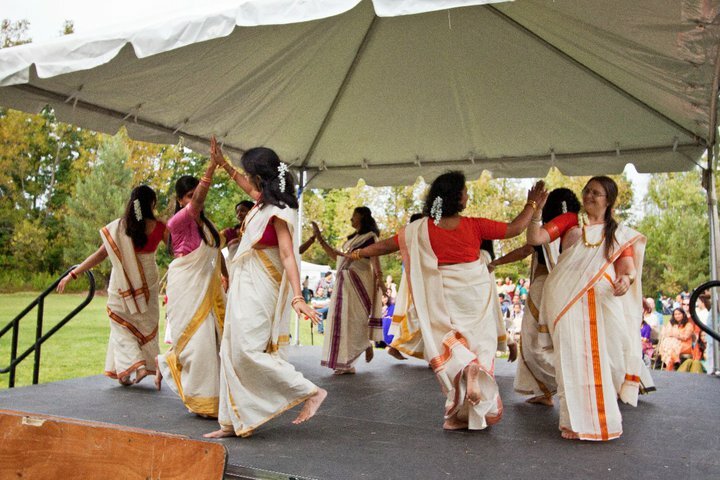 Schools may be the major setting for celebrating Kerala Piravi. Schools tend to celebrate the linguistic heritage of Kerala through Malayala bhaashaa vaaram- Or Malayalam language competitions. These cultural programs include literary competitions, recitations, elocution contests, reading competitions , debates, quizzes, and skits. 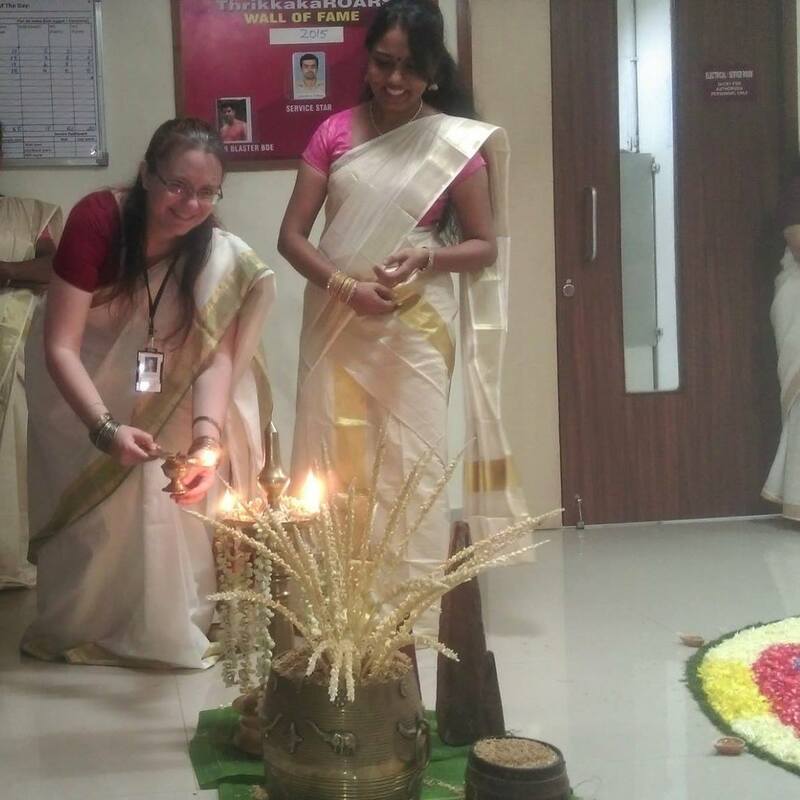 Is Kerala Day celebrated outside of Kerala or India? Yes, it is commemorated or celebrated by Malayalees (people from Kerala) who live in other states of India as well as in other countries of the world. Especially in the Middle East (Kuwait, United Arab Emirates, Oman, etc.) where a large concentration of Keralites live, International and Indian schools will celebrate or commemorate this day. in the para (vessel) for Onam decor. Fun fact: The state of Karnataka, which borders Kerala to the north also shares it’s foundation birth and birthday with Kerala. Karnataka Rajyotsava or Karnataka Formation Day was also on November 1, 1956. Ellarkum Namaskaram. Ende peru Jennifer. Enda naadu Rochester New York annu.. Korcha korcha malayalam ariyum.. njan nalla Malayalam para illa. Kerala innikki othiri istham annu. 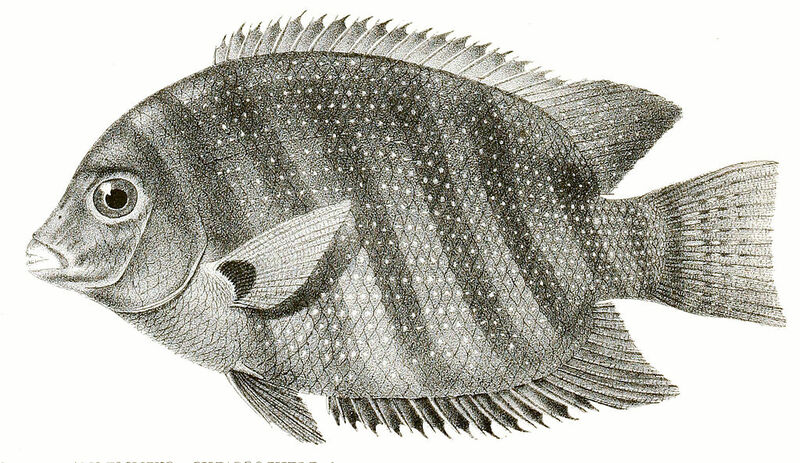 Innikki Inji puliyum pullisheeriyum biangra istham annu. 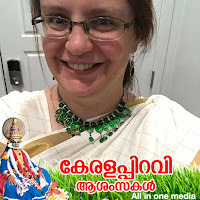 Ellarkum ende sneham nirannya Kerala Peeravi ashamsakal. Hello everyone, I am Jennifer Kumar. I am from Rochester New York, near to Niagara Falls. I know a little Malayalam. I do not speak good Malayalam. I really like Kerala. 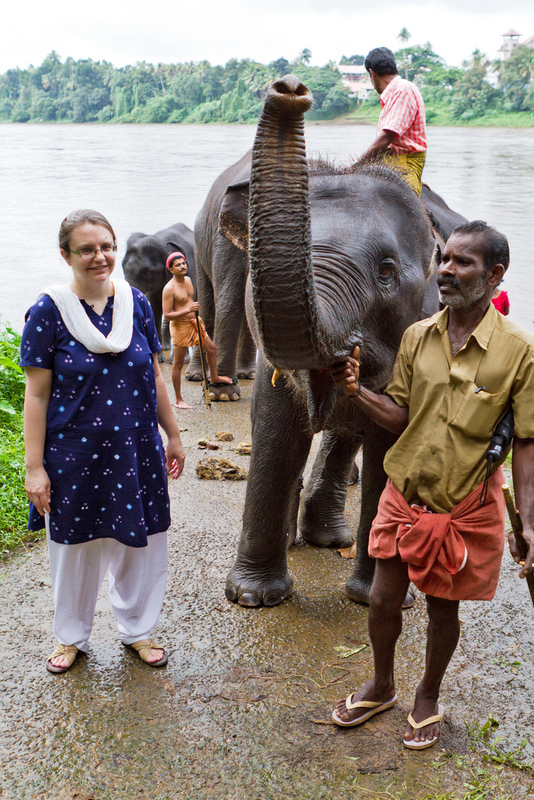 Everyone is friendly and I love Kerala meals. I especially like inji puli, sambaram, and pullisherri. 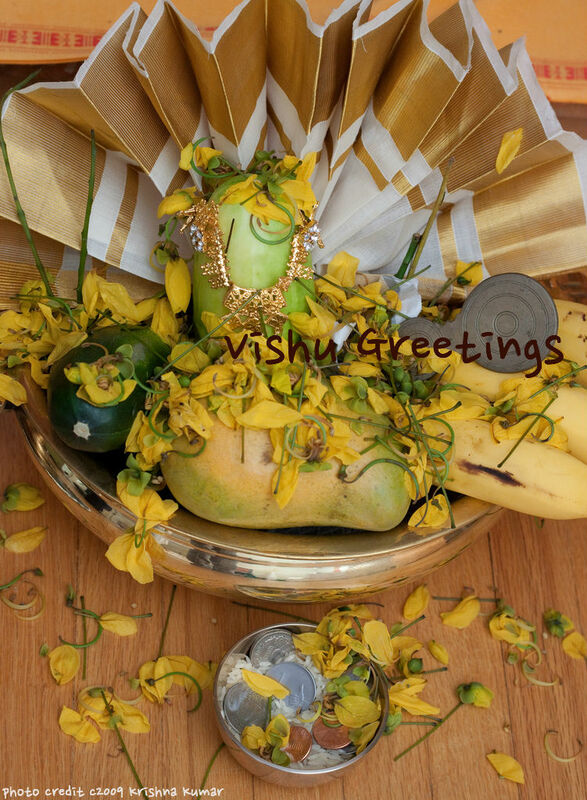 Kerala Piravi Greetings to all!! Author of this post, Jennifer Kumar was an expat living Kerala, India until 2017. She currently lives in Utah, USA. Contact her here.